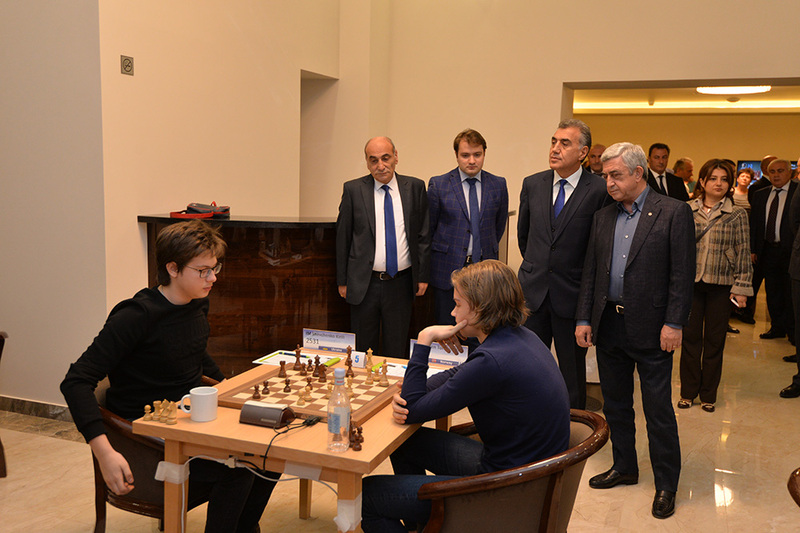 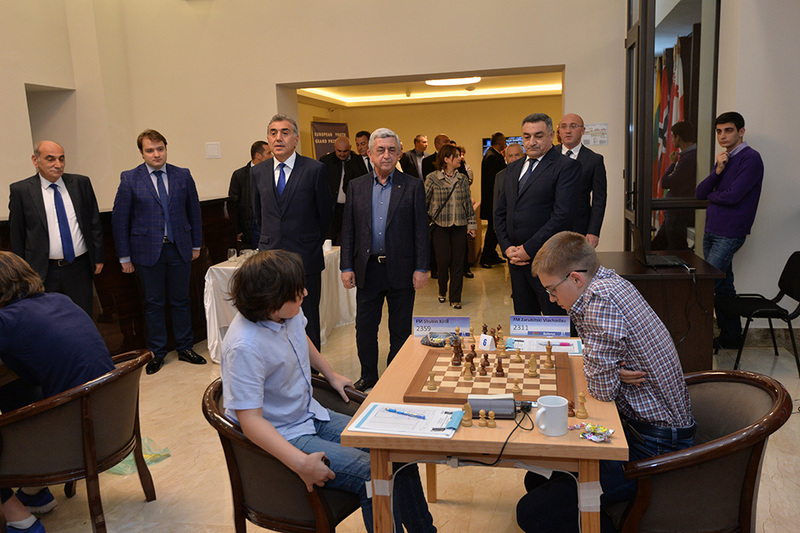 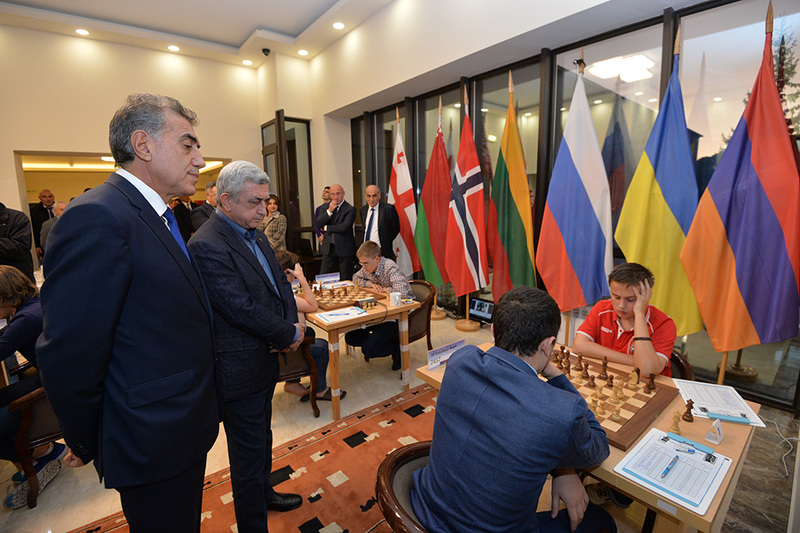 President of Armenia, President of the Armenian Chess Federation Serzh Sargsyan, who is in Vayots Dzor Marz on a working visit, watched yesterday the 2nd round of the European Junior Grand Prix Tournament, organized by the Armenian Chess Academy in cooperation with the Armenian Chess Federation and the European Chess Union in Jermuk to be held on October 4-15 in the newly built Jermuk World hotel. 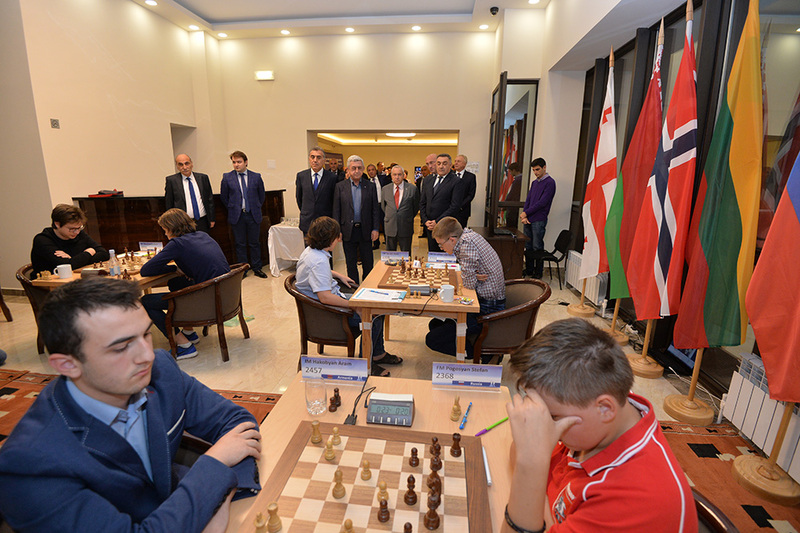 The three-round tournament brings together 12 young chess players under 16 from abroad and Armenia. 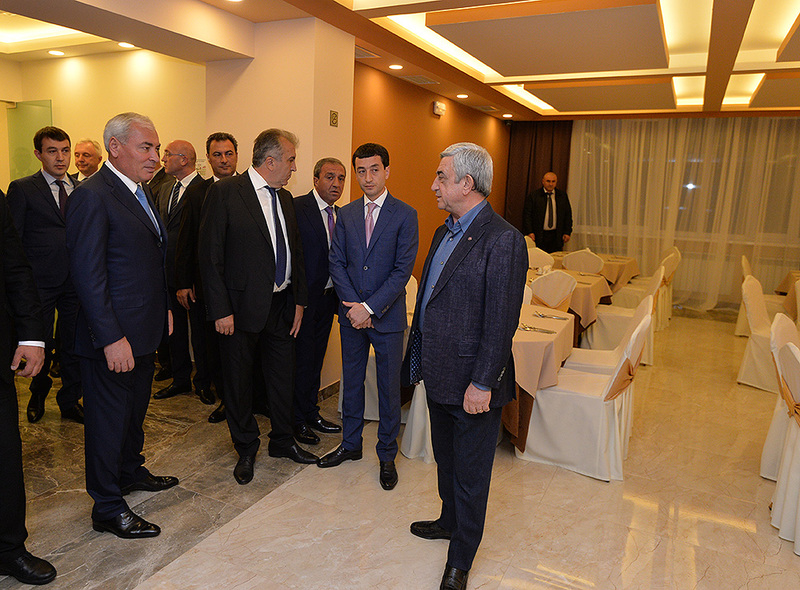 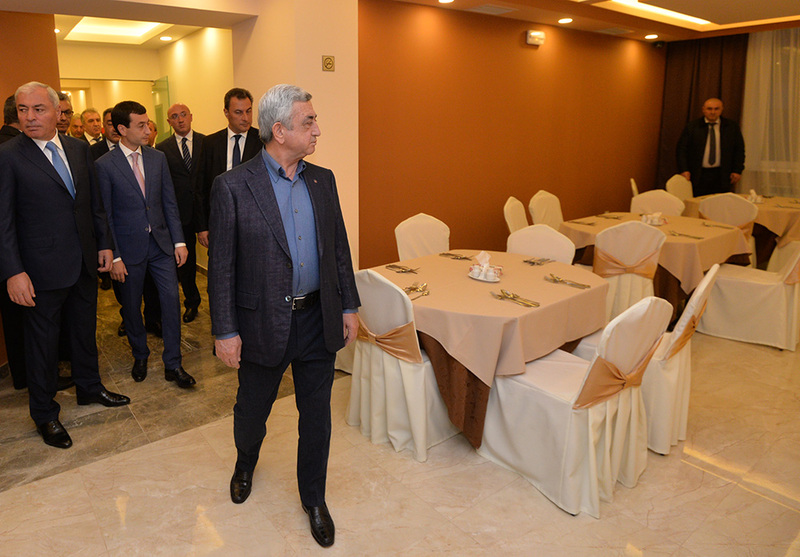 After watching the tournament, Serzh Sargsyan made a brief tour of the resort complex getting acquainted with the conditions offered to the tournament participants. 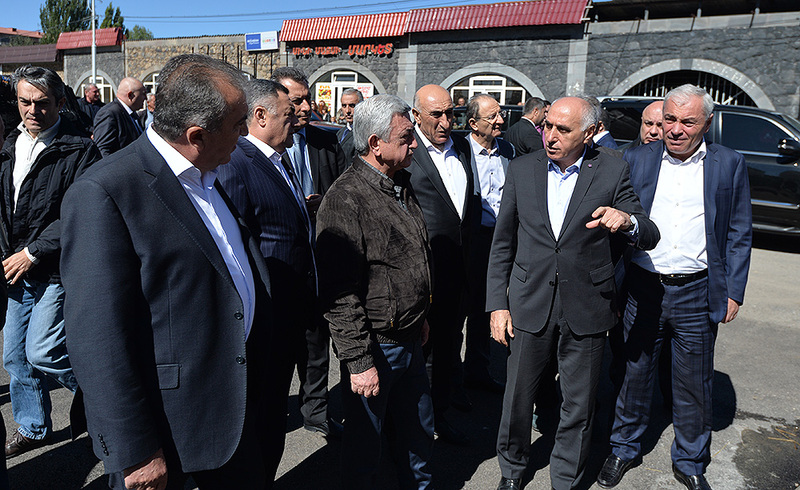 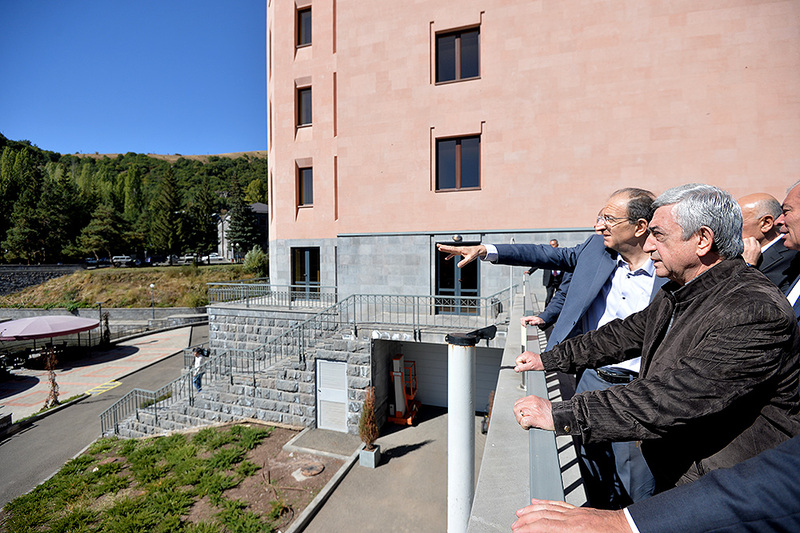 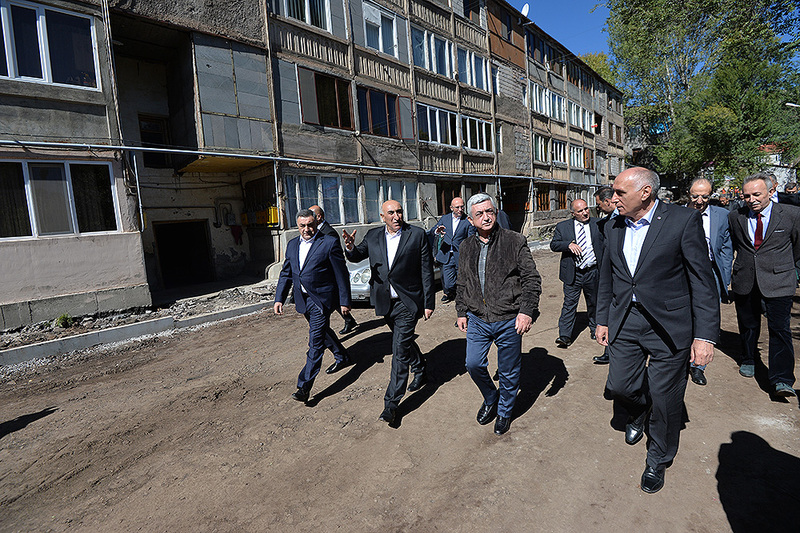 Earlier today, the President of Armenia joined Minister of Territorial Administration and Development Davit Lokyan, Armenian Territorial Development Fund Executive Director Ashot Kirakosyan and Chairman of State Committee for Urban Development Narek Sargsyan to inspect the construction works underway in Jermuk’s left-wing neighborhood. 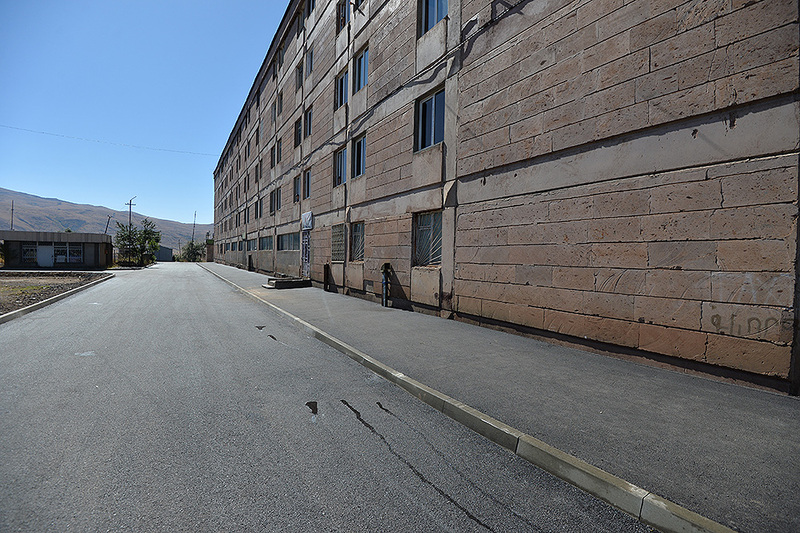 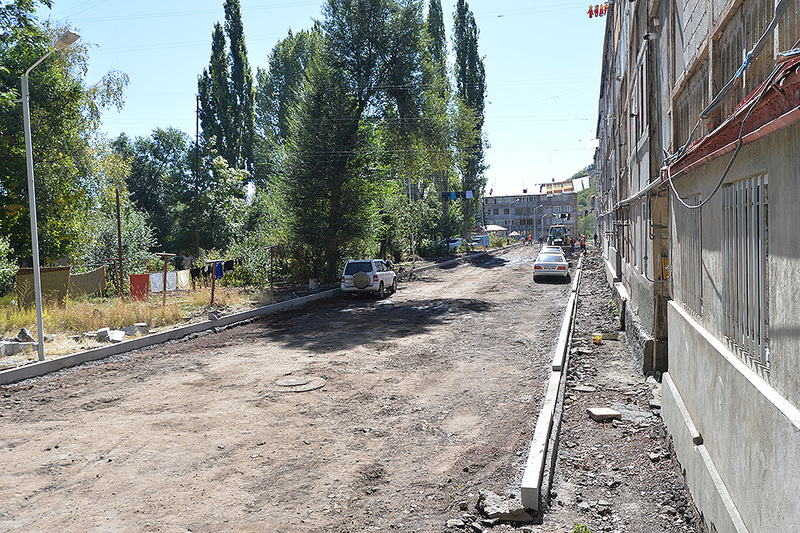 The activities to be implemented at this stage feature asphalting of yard roads in Jermuk, repair of the roofs of residential buildings in the town’s left-wing neighborhood, with 20 buildingsto be refurbished in the 1st stage, repairs in the right-wing neighborhood of Jermuk, namely in the joint yard area of Shahumyan and Myasnikyan streets, as well as the overhaul of support walls and stairs of buildings located in the aforementioned streets. 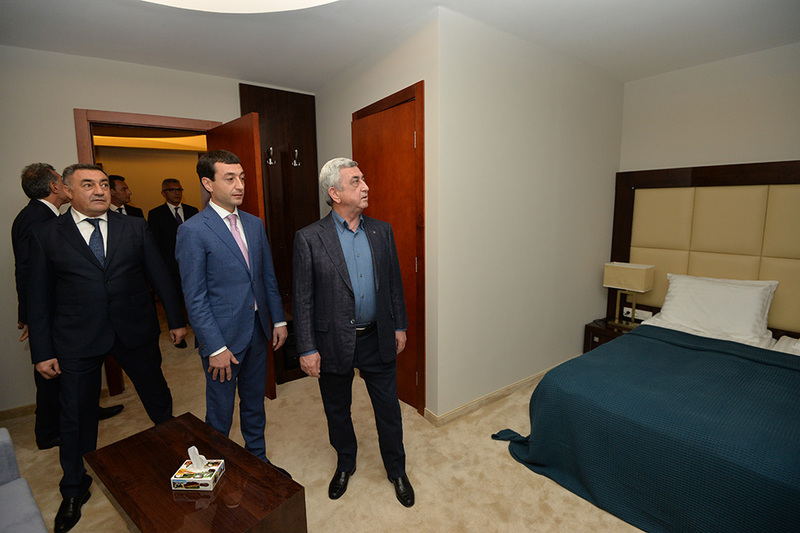 The President was told that all the activities, except for the roof construction program, will have been completed by this yearend. 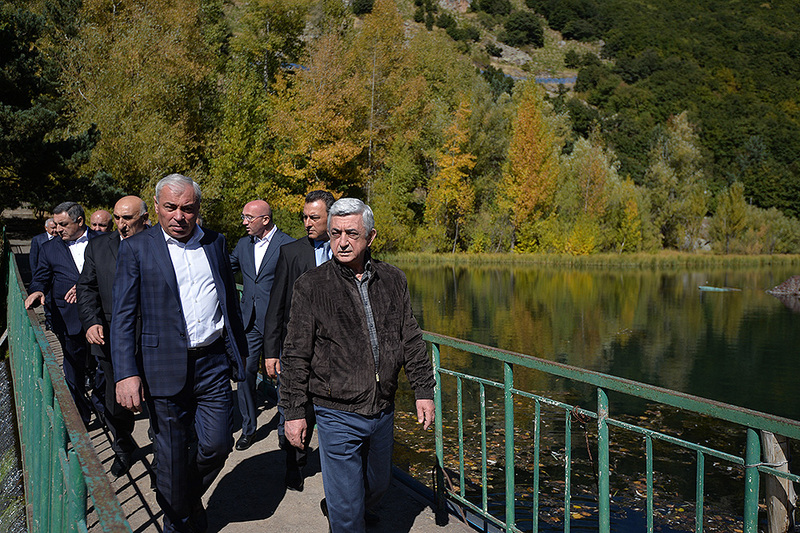 To remind, presidential instructions on a comprehensive development program for Jermuk town were issued at the consultation held by the President of Armenia as early as on December 12, 2016. 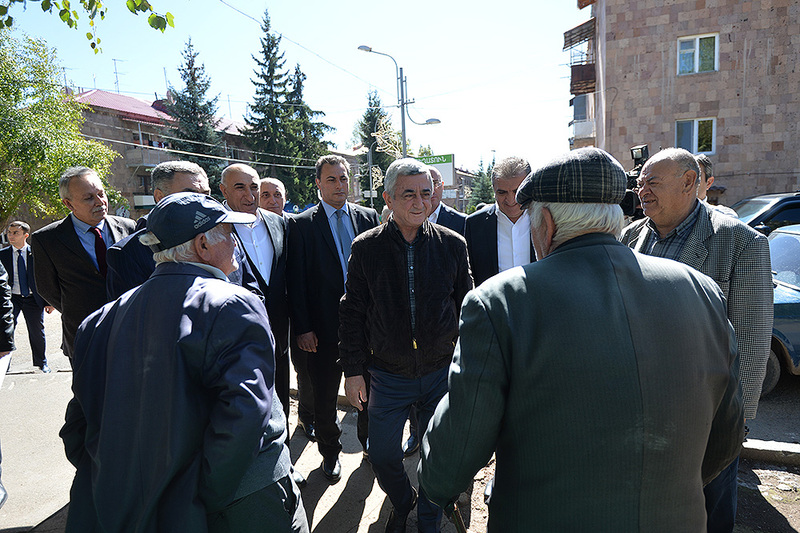 Serzh Sargsyan had instructed to get the private sector involved in the proposed activities in order to make the program more comprehensive and extensive. 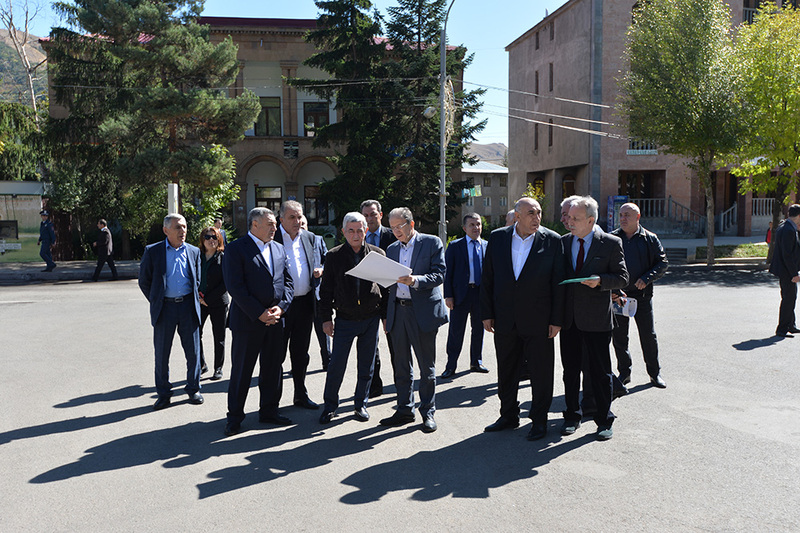 25 projects were elaborated within a period of 3 months to address the problems related to urban infrastructure, environmental protection, recreational and tourism facilities in a bid to improve the local population’s living standards. 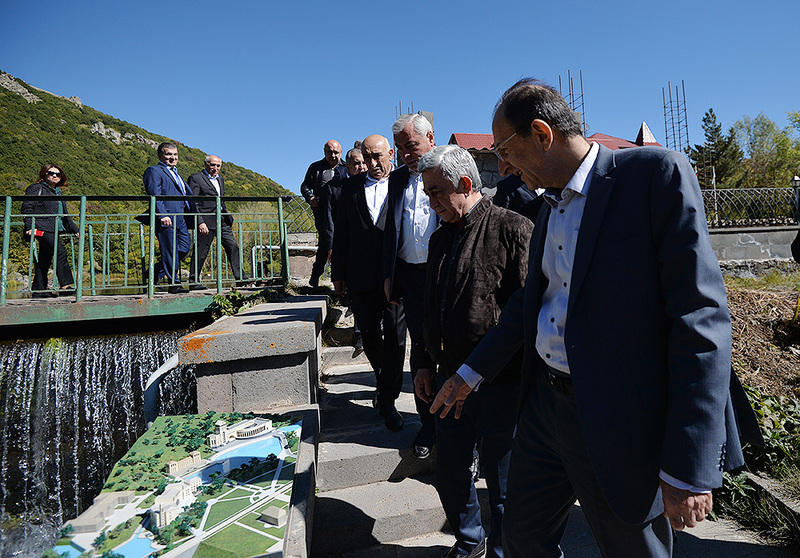 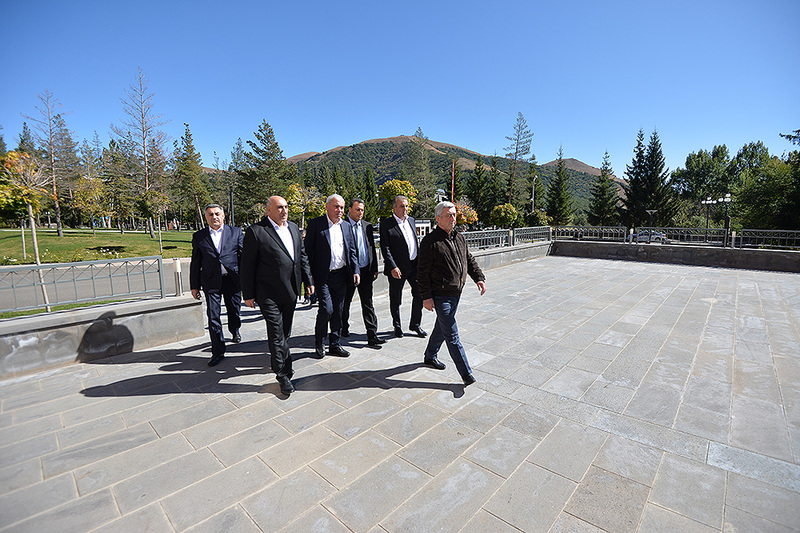 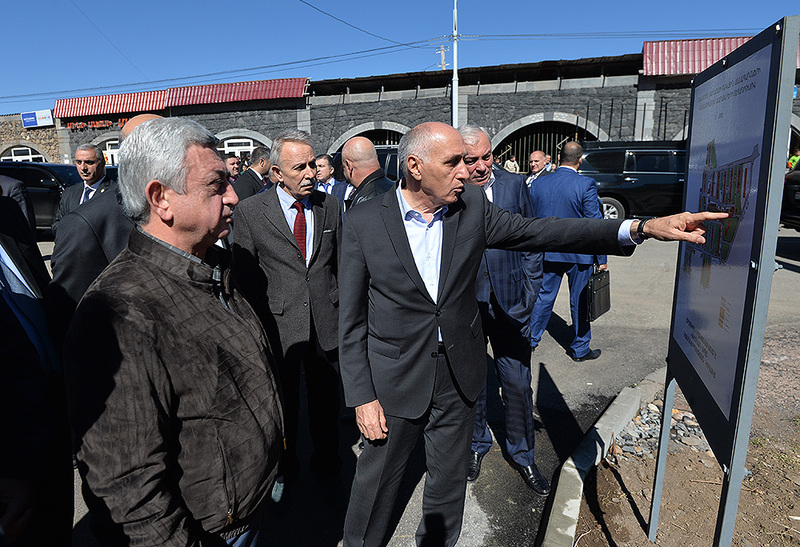 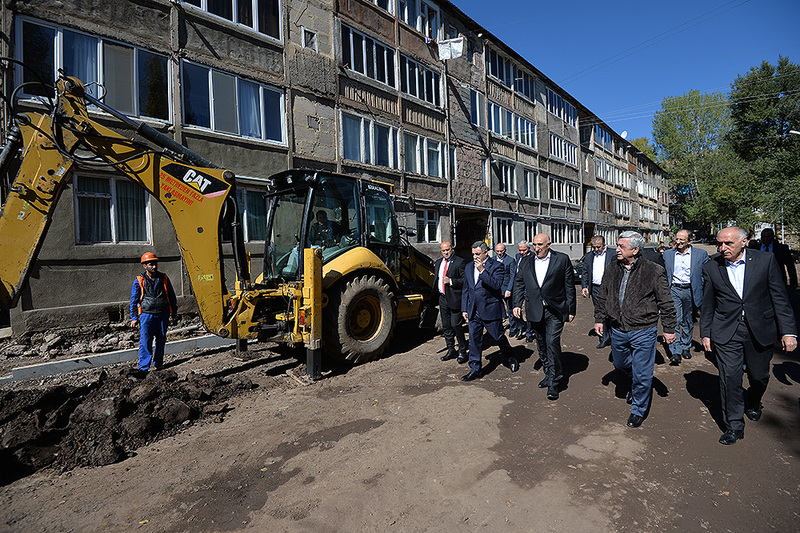 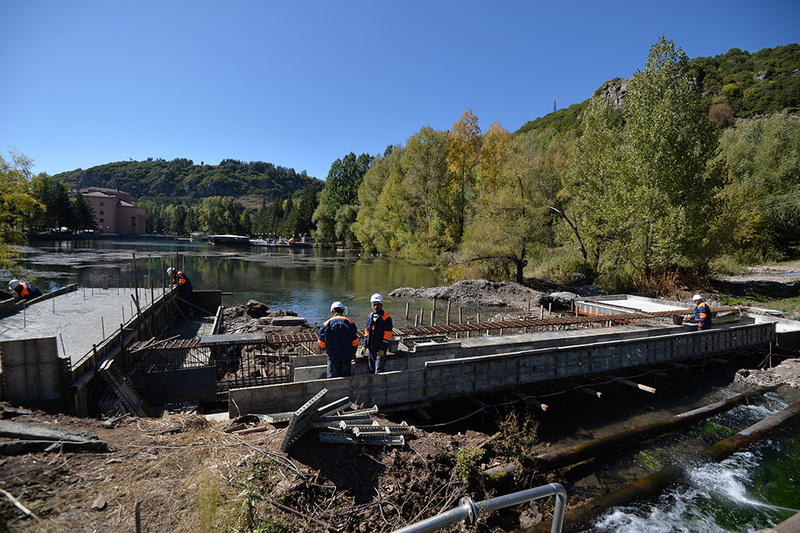 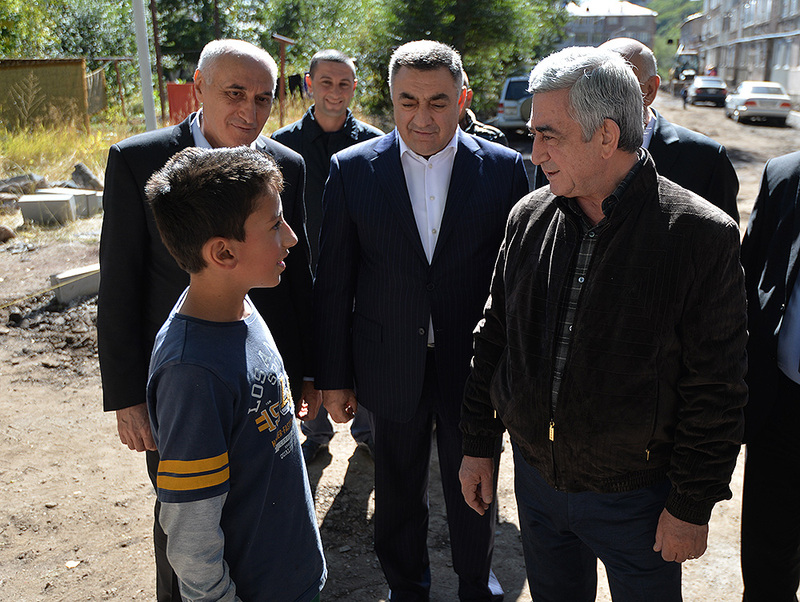 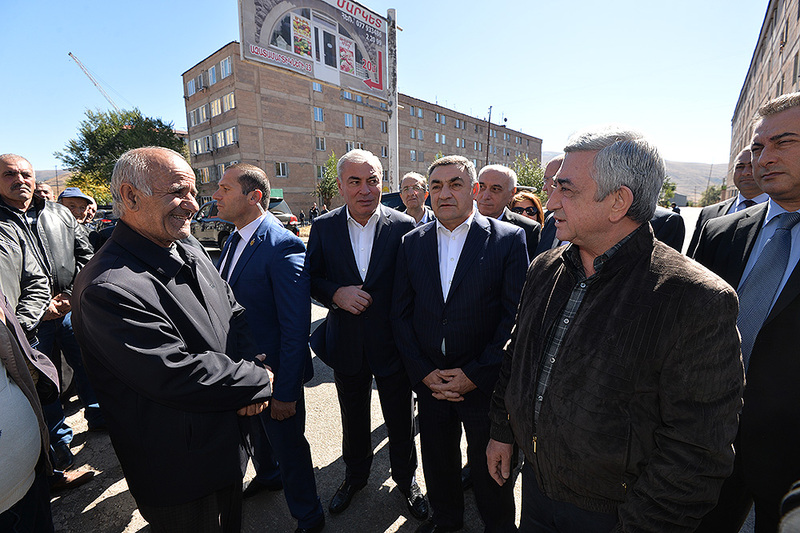 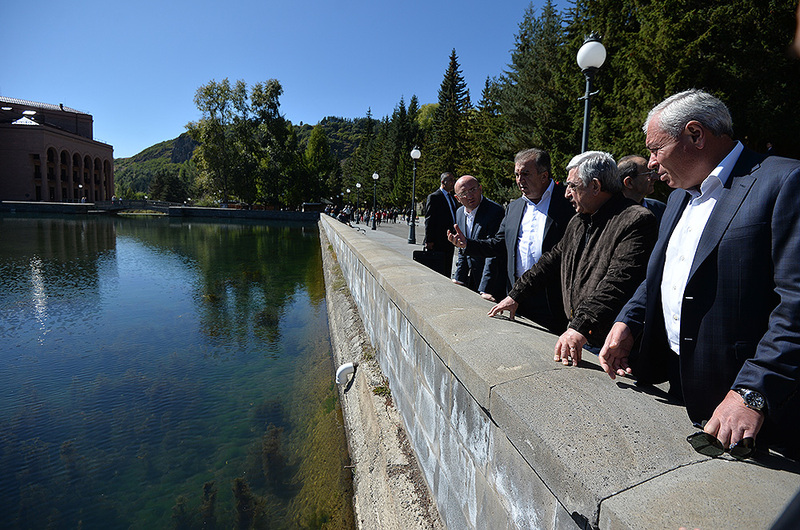 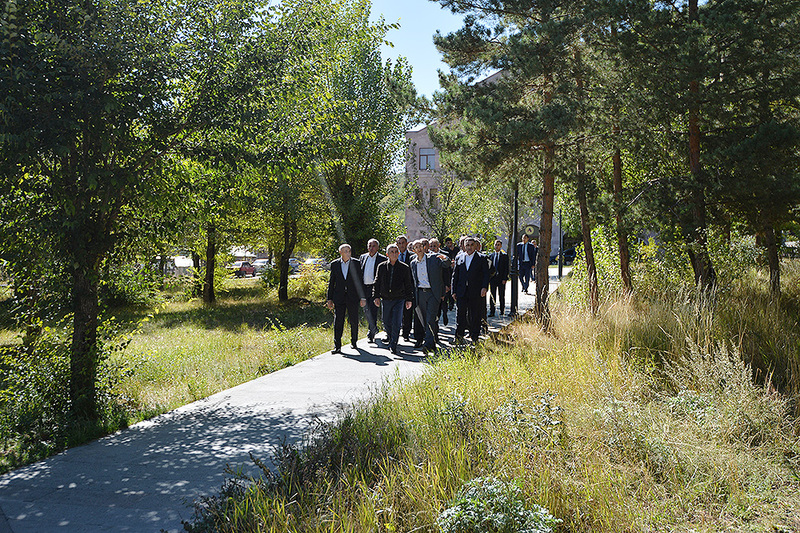 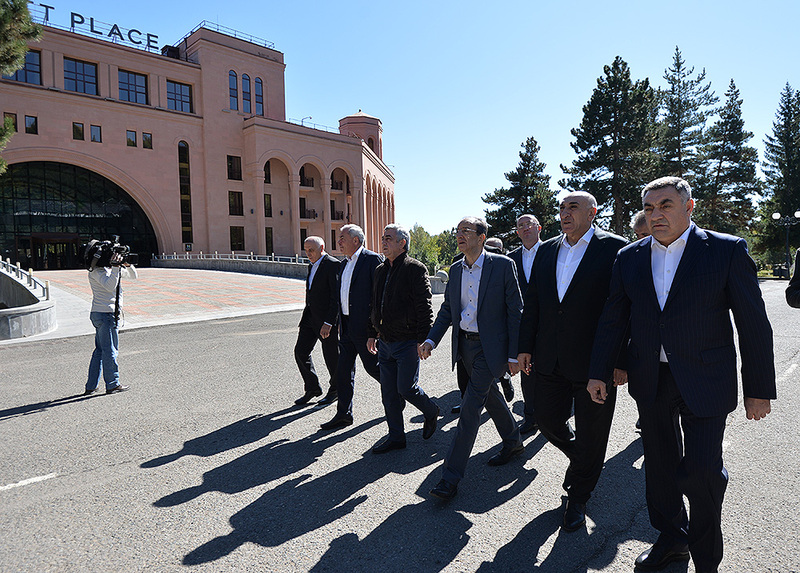 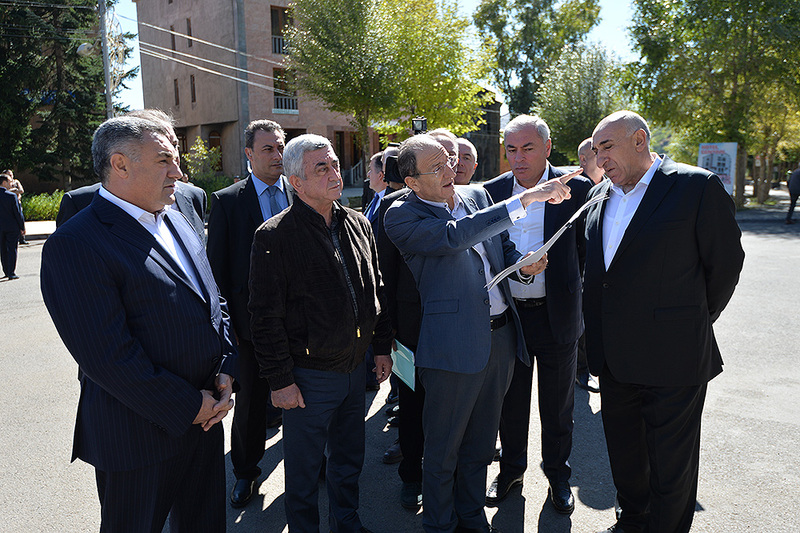 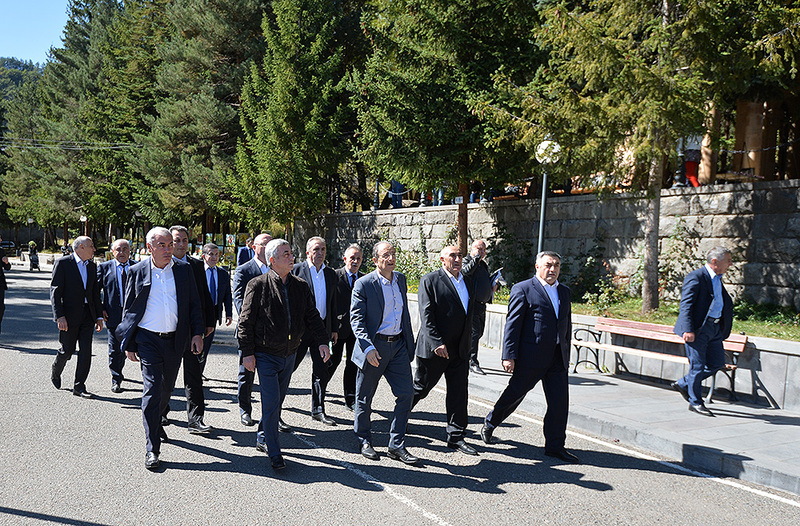 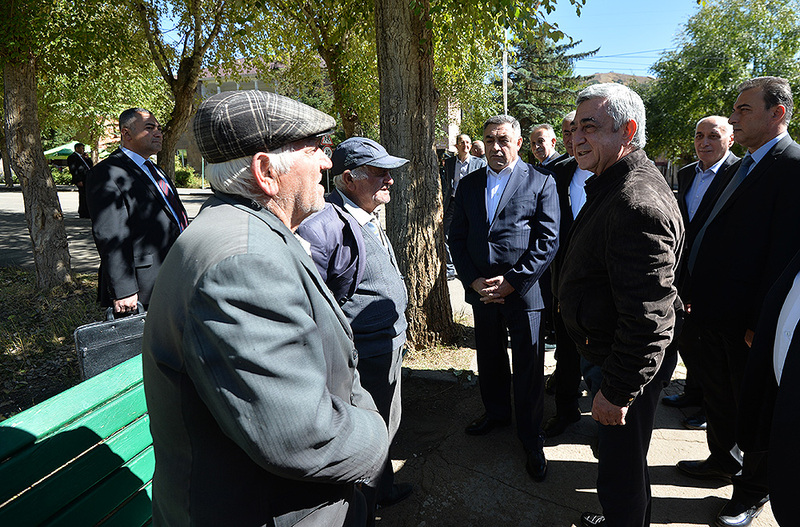 President Sargsyan next inspected the process of development of construction projects in Jermuk’s right-wing neighborhood and near Kechut reservoir. 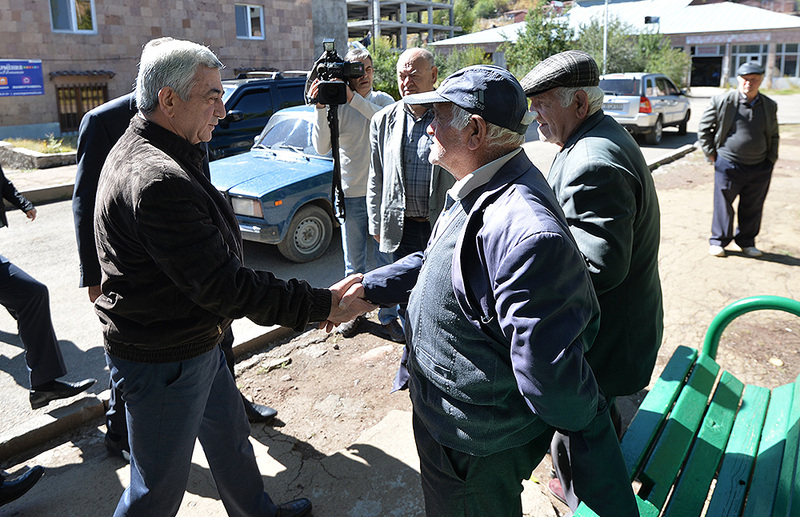 After completing his working visit to Vayots Dzor Marz, President Sargsyan left for Syunik Marz.